While these topics focus on DID, general principles are presented which are applicable for anyone doing prayer ministry or counseling. 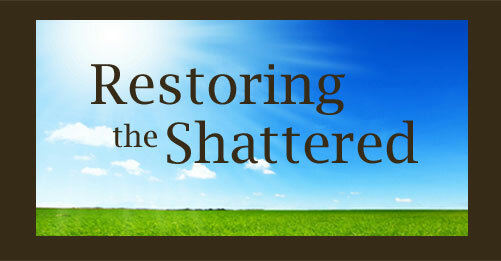 This training series represents Restoration in Christ Ministries' most recent and inclusive update of materials providing a deep understanding of the dynamics of Dissociative Identity Disorder (DID) and the many issues that must be addressed to bring healing to this clientele. It includes an understanding of the nature of ritual abuse and the complex spiritual bondages that accompany those who have been subjected to this extreme type of trauma serving the agenda of Satan. SCROLL DOWN TO VIEW THE TOPICS IN EACH MODULE. can call 540-249-1027 to order updated editions for half-price. This CD can only be played on an MP3 Player and most computers. 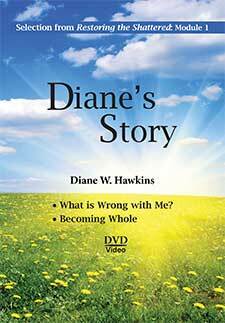 Diane's Story: What is Wrong with Me? are recommended for full understanding. Call 540-249-1027 to request this discount. 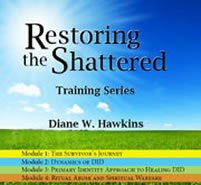 Excerpted from Module 1 of our Restoring the Shattered training series, this DVD (or 2 CDs) consists of the first two presentations in our Restoring the Shattered training series. 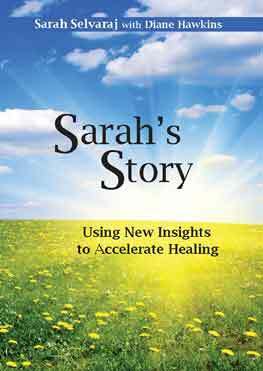 Diane recounts her journey to understand the confusing symptoms in her life, to reach a diagnosis of DID with a history of sexual and ritual abuse, and to find healing. She describes the crucial concepts that she had to learn and apply in order to obtain complete spiritual freedom and integration. its efficiency in bringing healing to DID, especially when combined with the Prenatal Healing Process.